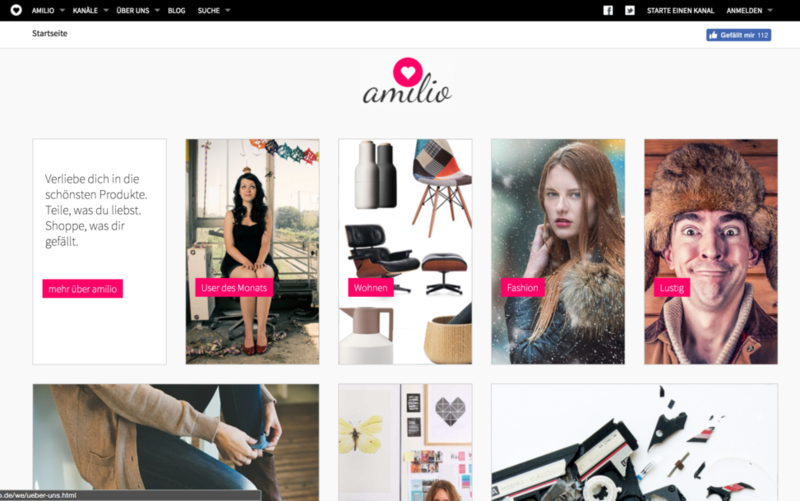 amilio is a shopping community based on affiliate programs. Every user is able create lists of products he or she likes. All those lists and products can be liked and shared by others. amilio was founded in 2015 by some friends with a technical background. The idea they had was, that everybody is an expert in something. So everybody can recommend products in his or hers domain. amilio builds on top of that idea. When registering you are able to curate product lists of stuff you like. Additionally you can add your affiliate id so you can earn some money with your lists. Although the idea behind amilio seems to be very promising, the team decided to build a proof of concept first. A good looking proof but still a proof. Paying to much attention to technical details could be a waste of time if you don’t know if a project idea will work. The amilio platform is deployed continuously via jenkins ci. Therefore it is important to check if the most important features are still working afterwards. Here, the central focus lies on the product lists and collection. special user for that case so we can be sure the collections and products do not change. of elements that can be counted. This works although the underlying algorithms are different. to test only some minor attributes. tests for the collection page also apply here. testing approach. Therefore we only check for the headline and a sub-sentence from the post. RegEx existsShop, Shop, Hooray.